On Tuesday, September 13th. the school held its annual Prize Giving for students from Years 11 – 13 for achievement in the academic year 2015-6. The evening began with a speech of welcome by Lee Massingham, Head Boy and Kesia Wills, Head Girl. 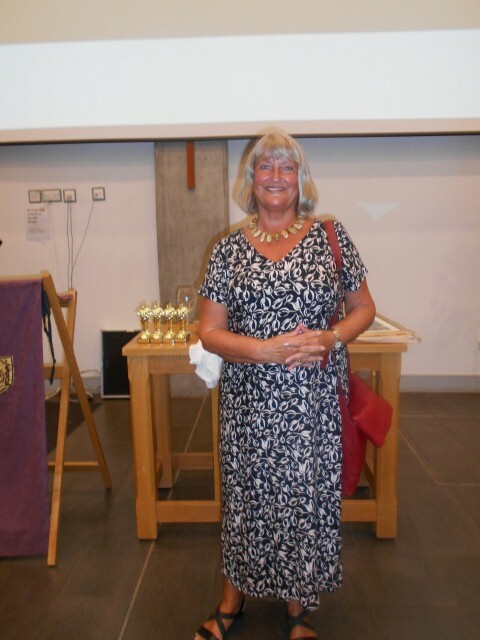 The prizes were presented by Dr Irene Bishop CBE, the Guest of Honour. The first group of prizes were awarded for English, Expressive Arts, Humanities and Year 11 Form Prizes. Every award winner was introduced by an appropriate member of staff who explained why the student had been awarded the prize which provided a personal touch for the audience which consisted mainly of parents and friends. Many prizes were obviously awarded for academic achievement but Bishop Ramsey also recognises and rewards students who display other admirable qualities. Ben Layde, Year 11 and Luke Black, Year 13 received St Lawrence Church Prizes for Resilience. 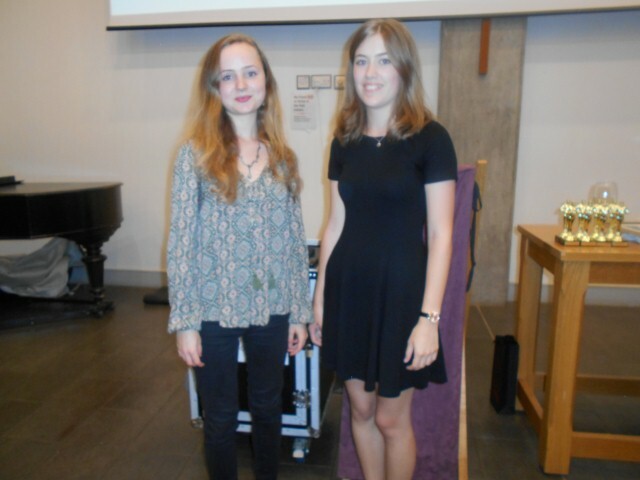 During a break in the presentation of prizes the audience was entertained by Frances Lay and Esme Porter, both Year 12 students, who played Run by Leona Lewis on violin and piano. There followed prizes awarded for Mathematics, Modern Foreign Languages, Religious Education, Sixth Form Challenge, Science, Social Studies and Technology. Prizes for an Outstanding Contribution to School Life were then presented to Year 12 and Year 13 students. Next came prizes for Academic Excellence and Outstanding Achievement which included the Jacob Sawyerr Prize for Endeavour awarded to Iona White and Alys Hollyer both Year 13 students. Jacob Sawyerr is a former student of the school who suffered a brain haemorrhage whilst playing football in 2014. Jacob is a very determined young man who continues to make a recovery. Anna Seevaratnam and Lewis Henderson were presented with the Head Teacher’s Award for Head Girl and Head Boy by Mr Wilcock. Mrs N Frost, Mr R Hampton, Mr A Jeffries, Mrs L Morrison, Miss E Neal, Mrs S Ngochi and Mrs K Ross. Although there were many worthy prize winners, a few students deserve a special mention; Emilie Cunning and Rachel Gynn each received three prizes and have secured places at Cambridge University to read Government and Politics and Economics respectively. Another student who was also awarded three prizes was the very talented musician, Alison Waller, who will be furthering her studies at Leicester University. Following the prize giving there was an inspiring address by Dr Irene Bishop CBE. She began by telling the students how education can really change lives. She continued by telling a true story of a mother’s struggle to support her children through difficult times, illness and poverty. However, this woman believed passionately in the value of education and always said her son and daughter would go to university and the daughter would become a teacher. Sadly the mother died in her late forties but the siblings continued with their education and,indeed, did both go to university. After a pause Dr Bishop said that the daughter was her. The story truly proved that if you have belief you can achieve your dreams. Dr Bishop has been a Head Teacher and is greatly respected in the world of education. The audience was certainly moved by the account of her early life.